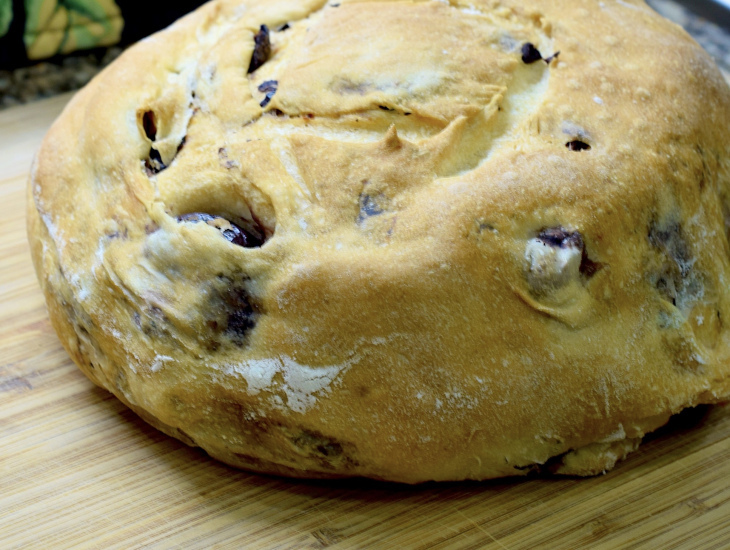 If you need to take a quick mental vacation to the Mediterranean, Rose's olive loaf is definitely a passport to sunshine, warmth, and most importantly, fantastic edibles. Jeniffer faced every baker's nightmare - a misbehaving oven! Thankfully she kept her cool and saved the dough. It turned out fantastic, straight out of Food magazine. 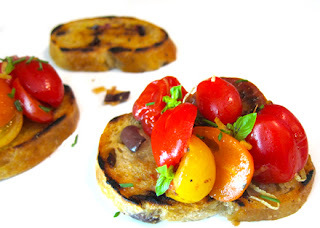 She topped her slices with raw and caramelized tomato with some herbs. What a scrumptious Sunday brunch. Sheryl made an amazing loaf, filled with spices and gorgeous olives. She had some great tips of how she usually makes this bread and finds it's always a winner! Vicki was delighted to find that this loaf was something she would happily order in a restaurant. It was also the first time she'd proved a bread in a towel-lined colander. 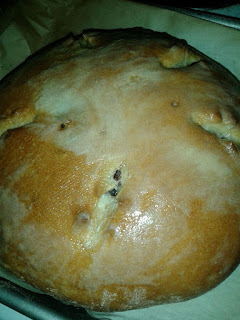 A gentle hand was necessary to keep this delicate dough from deflating. 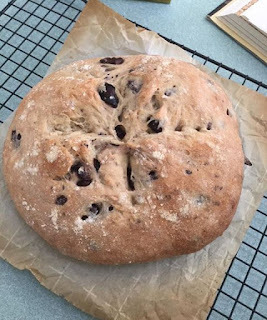 Vicki was a pro and made a superb loaf. Laura's loaf was devoured in seconds by her quilting friends. Not surprising as it looks wonderful! The chopped kalamata olives give it a great visual and texture. Elle had a lot of fun making this lighter-than-air bread. She and both daughters were more than content to dip slices of this loaf into olive oil. Great round up, Elle. 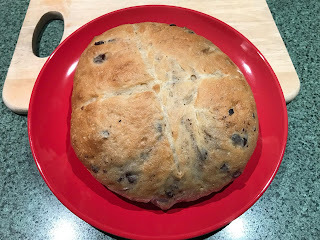 I love olive bread and enjoyed this loaf although I'd double the recipe next time.